Cresta & Rock Creek Dam Survey - Global Diving & Salvage, Inc.
PG&E contracted Global to perform surveys of four concrete chambers at two separate dams; Rock Creek Dam and Cresta Dam, both located on the north fork of the Feather River in Northern California. The concrete basins are approximately 25 feet wide by 124 feet long. Global divers accessed the structures through a trash rack and 48-inch inlet, which added an additional obstacle. The total penetration through the pipe and into the deeper area was approximately 35 feet, plus the additional 124 feet to the end of the chamber, which necessitated an in-water tender for every dive. 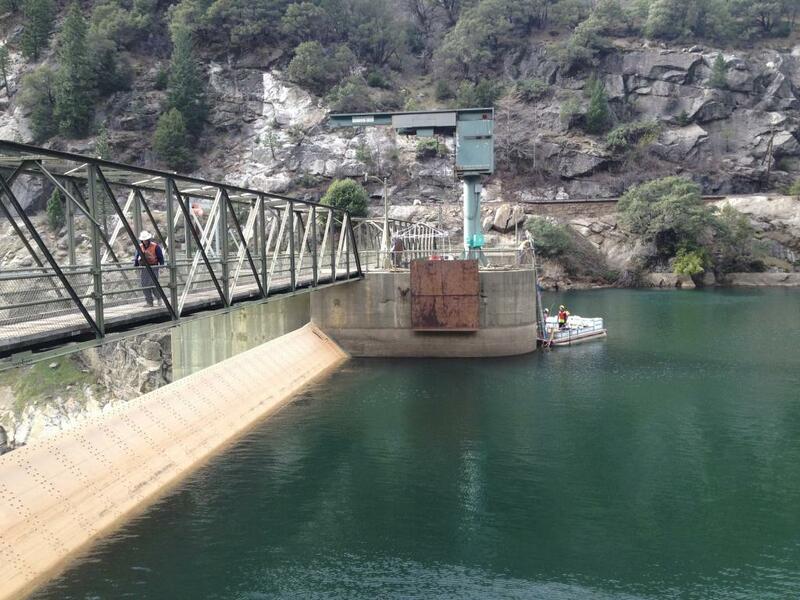 A probe and a scanning sonar were utilized to conduct the dam survey and determine the depths of built up sediment. At Rock Creek, a steel wire rope was established inside one of the chambers approximately 5 feet off bottom; this enabled an MS 1000 sonar to be suspended in order to scan images of the chamber every 5 feet for the entire length. Inside the same trash rack, Global used an ROV to inspect two 24-inch pipes in order to determine why two gate valves were non-functioning. These pipes bifurcated about 25 feet inside the center pier and split off to both chambers, supplying water to keep the gates afloat. It was suspected that the pipes and the valves were full of sediment deposited from upstream. A thorough report providing the data obtained from the sonar images and the probe measurement was provided to the PG&E upon completion of the project.